We are nearing the end of these guys first season. Our class was suppose to be a significant upgrade, rated 5th in the AAC. Crabtree, Zhang, and Wood. What are your thoughts after watching these guys all play significant minutes. Can these guys elevate us into the upper half of the AAC (as their recruiting ranking indicated)? My brief thoughts - I thought all of them would shoot a better % from the floor, especially the three ball. There has been a tremendous amount of inconsistency. Hopefully that improves as they mature, but I compare this to QB accuracy. Generally, it usually doesn’t improve greatly. We shall see. Secondly, it is pretty shocking that MD would sign three kids that don’t fit his man to man scheme. They all look more suited for zone. Especially Zhang who has no foot speed. Their collective athleticism does not seem to fit the AAC style of play and MD’s style of play. I am not ready to write any of them off. They are so young and have so much time to improve. But I am concerned as to how each one fits into our head coaches preferred way of playing. They have all shown flashes at times and looked like freshman at others. I think Crabtree plays with a high basketball IQ and is the best defender of the 3 but is hesitant on offensive. I attribute that to a typical freshman thing. Zhang can get his shot off from anywhere and is certainly not bashful about putting it up. He has a sweet looking stroke. I think he has looked better defensively the last few games but will never be a good defender. Wood has played well lately and can rebound at the guard position. I think he will be a good 3 point shooter. All in all, I think all 3 could be good players but all 3 need to get stronger. I would agree with this. They appear to be talented but still adjusting to the speed of the college game. I think they would have really benefited from a redshirt year but that’s not a luxury we have. They are being relied on as Fr and have shown flashes, as you say, but these aren’t the one and down freshmen Duke or Kentucky get each year and they aren’t playing with the same type of supporting cast. The good thing about basketball is that you only need 2 or 3 guys to really excel in order to get things turned around. Do you think there is any validity that MD did not recruit players to play his system of defense? It is WF in year one recruiting Tanner Lee to play QB. It just doesn’t make any sense. I'm sure he has tried to recruit "ideal" players for his system. After that he apparently believes he can adapt the talent he does sign to his system instead of the other way around (which is what you normally see.) Thus the freshman learning curve for the three amigos. Tulane did not take a single charge last night. One player may have tried once but I'm not sure. As usual, Tulane gave up a lot of points on layups and in the paint but it won the rebounding 43-37. So it was not like it did not have players regularly near the rim. FWIW Tulane had similar talent to Temple last night. Yet Dunphy is now 16-6 and Dunleavy is 4-17. I think these guys fit what he is trying to do. He loves taller players that he perceives as match up problems. He assumes they can shoot over or post up smaller guards or stretch the floor if you guard them with bigger players. The problem is they have to play on the other end of the floor as well. They can’t cover quicker guards and get push around by bigger forwards. They need to get in the weight room to perhaps be able to hold their own defensively against bigger players. I don’t see how you can make them quicker. similar talent? Cornish vs. Shizz Alston. I'm speaking at team level. Paul's recent eruption has totally changed dynamic in the front court. I assume you went to the game last night. So you have to report what you saw as I am doing from the stands. I know this is a straw but considering all players last night, Tulane hung in there with Temple despite individual mismatches. (Obviously some went Tulane's way too.) That candidly was the biggest surprise to me. 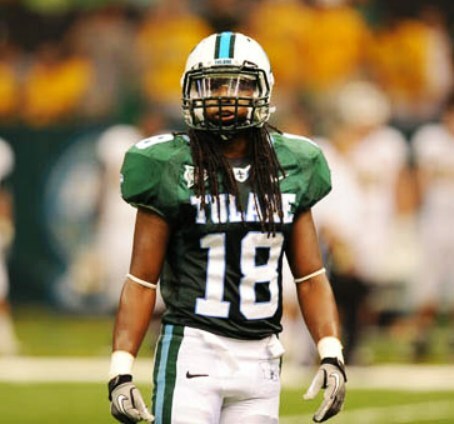 Tulane used to not outrebound the AAC Temple's. It's now doing it regularly. This team can win some this year if it simply puts itself (including the coaching) in the position to do so. "Slow starts" directly attributed to the most experienced players (Cornish and Sehic last night) on the team don't do that. As concerns Cornish, I now think he is MBB's version of Banks. He's the floor leader. He's the hardest working man on the team. He has enormous grit. He wants to win desperately. He never quits. He comes from a great family. In short, he has enormous character. I admire all these things but for whatever reasons, just like Banks, he does not make enough good in-game, real time decisions that you would expect from a fifth-year senior. Unfortunately unlike Banks, Tulane does not have a McMillan waiting on the basketball bench. So we simply have to hope for this season that like Blake, Cornish has a "Pauline" transformation. Yes, it may require the grace of God too just like the fellow from Tarsus. I was gonna go back to some prior thread and copy/paste my repeated assessment of our inherent problems... but thanks, I don't have to since it's right here. . The freshmen are freshmen. Ones who arrive at collegiate level strength are few and far between and usually don't stick around long. We can't expect our freshmen to bang with AAC big men. But that's not the problem causing our losses, it's lack of quickness to stop anyone, no clue how to play team defense, and and not valuing the ball enough (too many turnovers). Wood coming on strong, now shooting 47 percent overall and 42 percent on 3 pters. Zhang has great offensive instincts and will be a super player once Tulane has a point guard (next year); he has also been rebounding better ...as has Moses Wood. Crabtree seems to have hit a valley the last few weeks after starting out as the most consistent of the three freshmen. a lot of this team's woes are in the backcourt. No point guard (especially Cornish) gets the ball where it needs to go consistently. Cornish had zero assists and 4 turnovers vs. Temple. He blew the ECU game with two turnovers in the last minute. The lack of a PG leads to other players going one on one too often or taking shots out of rhythm, rushing 3 pters and missing. Would love to see some penetration (but we have no PG), which Temple did time and again last night. On the plus side ...rebounding has improved 100 percent and going to more zone has helped as well -- at least the last 2 games, both of which were winnable. my kingdom for Embo and Walker on the court (next year). I’ve been killing Cornish as much as anybody but the fact is he is playing out of position. He is not a point guard. I think they should try playing Daniels more at the point and move Cornish to his natural position on the wing. Daniels is a better penetrator which might allow for other guys to get more open looks. The freshmen are freshmen. Ones who arrive at collegiate level strength are fewstuff and far between and usually don't stick around long. We can't expect our freshmen to bang with AAC big men. But that's not the problem causing our losses, it's lack of quickness to stop anyone, no clue how to play team defense, and and not valuing the ball enough (too many turnovers). Guys, thank you for the input. Great synopsis. Reading what both of you are saying seems to play in to what I am seeing. Why recruit guys that are not quick if you play man to man 95% of the time? I know we are deficient in so many areas, but I would put defense at #1 and point guard coming in a close second. How are we going to win in the future if we cannot defend? I know, win high scoring games. Can these guys score on a consistent basis? I don’t know. I just hope the PG is the answer to our offensive issues, but if we don’t go 90% zone next year, we will give up a ton of points and wins will be rare again.